Maggie is an intuitive healer and workshop leader who I met on a recent hike. While we were talking she told me how she had to take it easy because of her knees. She said that her doctor told her that she has the early signs of arthritis. This was disturbing to her because otherwise she is in very good health and felt she is “too young for this kind of thing.” I told Maggie about my healing services and she agreed to come in for a session. During Maggie’s first session she told me about a heavy sense of emotional oppression that she had been experiencing in regards to what she described as soul-level contracts with other people and beings. Following this direction I guided her in exploring these feelings and identifying the core beliefs and agreements these feelings were based in. In the safe, sacred space of the treatment session Maggie was able to more clearly see what these agreements were and realize that she was at choice for continuing to participate in them. From this place of clarity she made new, empowering choices that freed her from the weight of these energetic bonds. The session was quite intense at times yet by the end she feel a deep sense of release and resolution. During this session I also tested Maggie’s meridians, Organs and chakras and administered acu-point and color light therapies to bring them into balance. I also used microcurrent electro-acupuncture and frequency sequences to directly relieve inflammation in her knees. We will now take a look at the three major dimensions of experience for people, and how this knowledge can help you expand your clinical effectiveness. The three levels can be described as 3D, 4D and 5D, with the D meaning dimension. The third dimension is our physicality. 3D medicine looks at pathological changes in the body and its associated bio-chemistry. Western medicine is the epitome of 3D with its major focus on drugs and surgery. Nutrition, physical therapies, exercise and lifestyle considerations are also aspects of 3D. Much of the effects of acupuncture are in 3D. The micro-traumas caused by needle insertion release cascades of neuro-peptides that create much of the acupuncture effect. Cupping, moxibustion, tuina and acupressure create beneficial effects on the physical body. Chinese herbal medicine is largely 3D also, with targeted effects on Organs, blood and bodily systems. Yet a big part of the appeal of acupuncture is that its benefits are not limited to 3D, but also in higher dimensions. 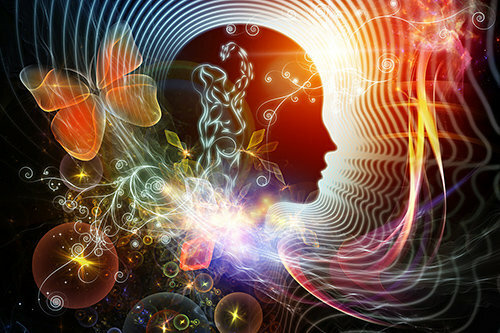 The fourth dimension is the realm of the mind, both the individual mind and collective consciousness. Humanity is literally swimming in a vast soup made up of all of our mental and emotional impressions, and those of our ancestors. While the realm of 4D could be a gateway into higher states of consciousness it has become an illusory and highly manipulated matrix in our current world that tends to keep people cycling through polarized and fear-based experiences. It is like a broken record continually perpetuating a global message of PTSD (post-traumatic stress disorder). This is where our patients with difficult chronic pain and disease issues tend to be stuck. There is very little training available to practically show practitioners how to effectively work at this level, and that is why so many patients are not enjoying long-lasting resolution. Fortunately there are points and systems within acupuncture that do address 4D psychic imbalances. How effective a practitioner can be at working at this level depends on his or her own state of personal development and awareness. I have also found that therapies working with light, microcurrent and sound are excellent adjuncts to acupuncture for providing richer effects on the 4D level. 5D, or the fifth dimension, is our homecoming. It is the realm of one-ness and fulfillment of the heart that is the ultimate root cure for all kinds of chronic suffering. Far from being some kind of abstract spiritual idea, it is our very true selves. It may only seem abstract because the human race has fallen down so far from being in tune with our true natures. 5D is a tangible and very real part of my clinical sessions, and it can be for you. It starts with your awareness that, as Diane Connolly so aptly wrote “All sickness is homesickness.” This is the understanding that beneath the tangled web of your patient’s complaints there is likely a profound feeling of dis-connection. Holding the image of your patient as already whole and complete, and working from that perspective is a simple and powerful 5D approach. Multi-dimensional acupuncture is about recognizing your patients’ needs on all three levels – 3D, 4D and 5D – and offering a service that addresses all of them. This is not hard to do, and it is likely that you may already be doing this to some extent. It is well worth cultivating your ability to practice multi-dimensionally because increasing numbers of people who have been disappointed by other practitioners are looking for someone who can help them in this way. Once you understand this you can start structuring your clinical sessions to include elements of 3D, 4D and 5D. Once you and your patients experience the fruits of this you will never want to go back.